Zynga, the hottest social gaming startup on Facebook and beyond, launched a new game Wednesday morning called FrontierVille, aiming to follow on the incredible success of its other games, like FarmVille. FrontierVille transports users back to the Wild West, where they must overcome the trials of the wilderness in order to found a thriving frontier homestead. Players control multiple avatars for the first time in a Zynga title, as they raise a frontier family to plant crops and trees and clear their home of vermin. As in other Zynga games, users can add friends as neighbors to cooperate on tasks like felling trees and constructing log cabins. Also paralleling other games from Zynga, FrontierVille will enable players to purchase virtual goods to customize their homestead or advance in the game. While FrontierVille doesn't appear to be a clone of any already existing games on Facebook (many criticized Zynga for clearly copying FarmTown in creating FarmVille), Zynga's chief game designer, Brian Reynolds, does admit to some of the game's influences. “FrontierVille gives users creative new ways to connect with people around the world while bringing out the pioneering spirit in all of us," said Reynolds, the lead developer of FrontierVille. "FrontierVille is Oregon Trail meets Little House on the Prairie meets FarmVille." Reynolds had previously led the design for hit games Civilization II, Rise of Nations, and Sid Meier's Alpha Centauri. 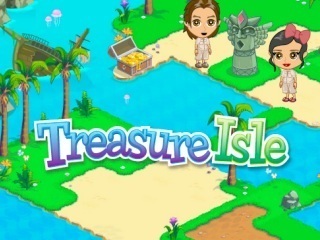 The last game launched by Zynga, Treasure Isle, is now one of Zynga's most popular games, with 25 million daily active users. FrontierVille will likely draw on Zynga's seemingly inexhaustible momentum to also rise to the top of Facebook applications. 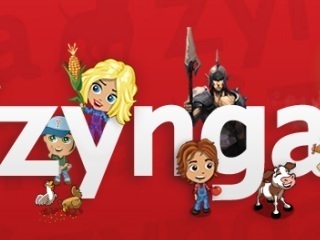 Zynga has over 230 million monthly active users playing its games, including FarmVille, Treasure Isle, Zynga Poker, Mafia Wars, YoVille, Café World, FishVille, PetVille, and now, FrontierVille. The social-based games have expanded from the Facebook platform to MySpace, MSN, Yahoo, and even the iPhone (FarmVille is launching on Apple's App Store at the end of the month). Notably, Zynga recently acquired Challenge Games and christened it as the San Francisco-based startup's new Austin office. FrontierVille is the first game developed at Zynga’s game studio in Baltimore (Zynga East). If anyone's estimates are correct, Zynga is making a killing with its rich combination of in-game advertising and sale of virtual goods. One guess says the company would trade at a $5 billion dollar market cap if it were public today.